Breathe, Think, and Do with Sesame app helps kids learn to deal with frustrating situations using the "breathe, think, do" method. They'll learn to take long, deep belly breaths to calm down, think of a few strategies to handle the problem, and then do those things. They'll develop resilience as they overcome frustrations and challenges on their own. Breathe, Think, Do with Sesame, explores a way for children to calm down and explore everyday challenges. Offered in both English and Spanish, kids help a monster friend take deep breaths, think of plans, and then try them out. Kids can create their own muppet friend and help them through the moving process, including hearing about the move, packing, saying goodbye, expressing feelings, traveling, exploring the new home, and making new friends. Kids learn important life strategies while having fun with familiar Sesame Street characters. Kids will identify with each of the five problems, and they'll not only learn to calm down with deliberate deep breathing, they'll also be introduced to three possible strategies for working through each problem. While waiting for a turn on a slide, for example, kids learn they might sing a song, count items around them, or ask a grown-up for help. The parent section includes even more tips for helping kids develop resilience by giving them tools to solve problems. Breathe, Think, Do with Sesame is a valuable tool for teaching kids how to handle frustrating situations (and a great reminder for adults, too). This is a resource app for you to share with your child to help teach skills such as problem solving, self-control, planning, and task persistence. Laugh and learn as you help a Sesame Street monster friend calm down and solve everyday challenges. 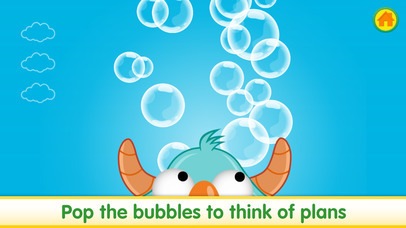 This bilingual (English and Spanish), research-based app helps your child learn Sesame’s “Breathe, Think, Do” strategy for problem-solving. 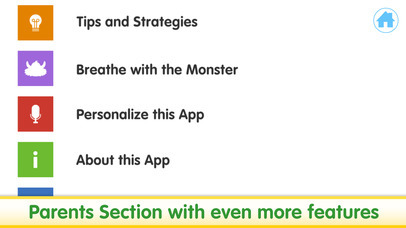 Tap and touch to help the monster friend take deep breaths, think of plans, and try them out! Your child will enjoy silly animations and playful interactions as she is exposed to important emotional vocabulary, a calm breathing technique, personalized encouragements, and more!